The Dainty collection are on slim Gold or Silver chains and house a key hand stamped with a positive word of your choice. 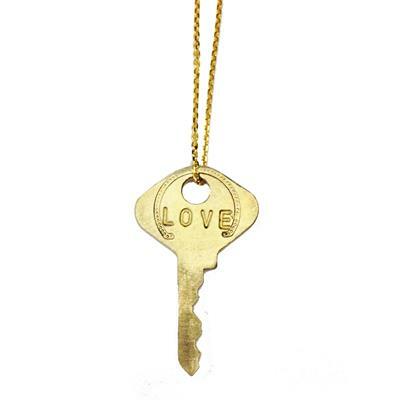 Choose a word which resonates with you at this moment in time, wear your LOVE necklace until you meet someone who you feel needs the key more than you and pass it on to them. We fell in love with this giving concept when we first saw the collection and love hearing all of the positive stories that have come out of The Giving Keys concept. Handmade in downtown Los Angeles by homeless and low income team members, The Giving Keys are paving a pathway to self-sufficiency and permanent housing. Please note: The Giving Keys use repurposed keys which are hand stamped so no two are the same, therefore your key will not necessarily look like the key in the photograph.